Get a grip on your needle! 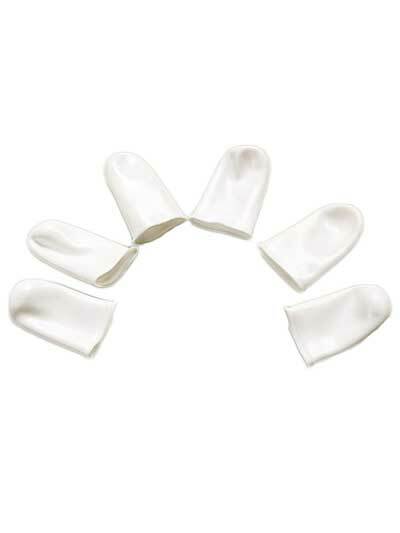 Use these finger protectors to pull needles easily and for hand and free-motion quilting. Made from soft, flexible plastic so you can still feel your work. One size fits all. 6/pkg. My sister came to visit me and she showed me one of these finger protectors. 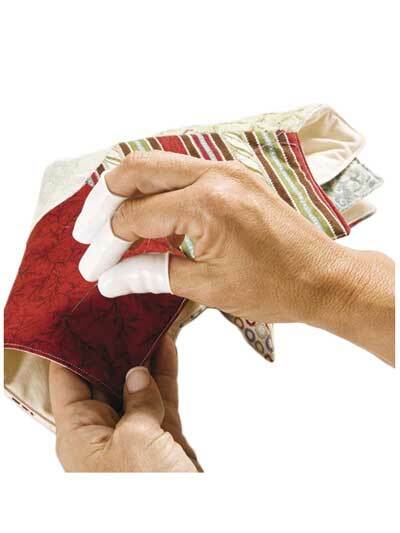 I was immediately taken with it as I always had trouble gripping the needle when I quilted. Finally found where to buy them and have used them ever since. I may be rather hard on them because they don't last as long for me as my sister but they are wonderful. Easy to use and makes hand a breezy. The Fit is great and the protection is even better.